What is self care for moms? The term ‘self care’ has most definitely become a buzzword recently. And while it sounds like it’s mostly spa days and taking naps, self care is so much more. Self care means realizing that you need to ‘fill your cup’ or you are no good to those who need you. Self care is taking time for self love and being proud of yourself for doing so. Self care is doing the things that make you feel less stressed, set yourself up for success, and living a more enjoyable life. But the thing is, most moms don’t spend much time with self care. One of the top reasons that the moms I work with don’t spend time on themselves is that they feel they are too busy to do so. I mean here is the thing… we’re all pretty dang busy. There are NOT enough hours in the day to do everything we need to get done and, life can get pretty crazy. But that doesn’t mean we should neglect ourselves. I make sure to take time daily for tiny forms of self care from reading for 10 minutes, to exercising, to simply decompressing with a cup of tea at the end of the night. You don’t need to take a weekend to go to a quiet retreat (though it would be nice) to do self care and, so often as moms, if we can’t do things ‘perfectly’ we don’t do them at all. We find time to do things that are priorities to us. The things that we think are important are the ones that get done during the day. And self care, like anything else, isn’t about ‘having the time’, it’s about ‘making the time’. You need to prioritize YOU, find pockets, schedule dates with yourself, and make yourself a priority. Ugh the dreaded mom guilt. I have it a few times a day and it often rears it’s ugly head when I’m about to do something that I want to do. It’s that voice that always just pops up when I am about to take 60 minutes to get work done in the office while my mother in law stays with the kids, the one that tells me to take a quicker shower, and the voice that makes me feel bad that I let my kids watch an episode of Daniel Tiger while I workout. But mamas… we gotta shut that dang voice up. We deserve to take some time during the day to center ourselves and do what makes us happy. So often moms lose themselves in ‘being mom’ and eventually can get grumpy, bitter, and unhappy. It’s so important that we take time for us because, we set the mood for our homes. How many times have you snapped or been in a bad mood and all of a sudden you can see everyone else’s shoulders lower just a little bit? Have you ever been cranky and can feel everyone else get cranky too? As mom, it’s up to use to set the tone and mood for our homes and, when we feel good, confident, and happy… that radiates to our family. It is also up to us to be the example for our children. 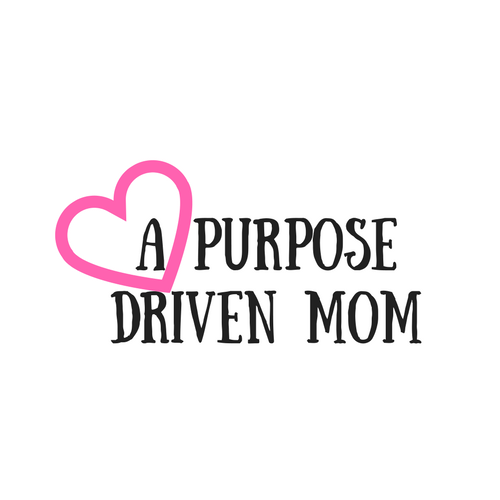 If all your children see is a mom who takes on everything, never gets help, takes breaks, and is stressed out then that is the image of ‘mom’ that gets ingrained in their brains. That might be the type of mom they are when they get older or the way that they treat their future wife. Decided to change the tone in your home, decide that you matter enough for some ‘me time’, and decide that it’s time to prioritize you! Now… how the heck do you do that? Self care comes in many forms and can look differently for every person. Like I mentioned above, it can totally be a massage or a trip to the spa but it can also be as simple as a phone call with a friend that fuels your soul. Here is a list of my favorite ways you can get self care in your day. Think about which ones you love to do and make it a goal to hit at least one of them each day. I find that I am able to fit many of them into my day and they really become great routines that I look forward to! Self care doesn’t need to be complicated but it does need to be scheduled. If I don’t create routines around my self care, such as daily exercise, reading, or even when I’ll shower, it won’t happen. If I don’t text a friend and actually put a date on the calendar for a coffee date, we won’t see each other for 6 months or longer. It’s just the way life and human behavior is. My suggestion is to make sure you put in your planner ONE THING you can do each day that fuels you. If you check out the above list, you can certainly find something that takes 15 minutes or less just to feel like you again. The most common form of self care in my home is listening to worship music and singing. All day long, we have worship going on our Echo Dot and, if I notice I’m a little snippy, I can typically pinpoint it to the fact that our music is off. Once a month, schedule out a self care habit that is 30 minutes or longer, let your spouse know you’re taking some time to do whatever it is and ENJOY. Let go of the guilt, go to groupon and find something you want to do, and just be YOU again. It’ll make you a better and more cheerful mom and bring much more fun into your life! And I know what you’re saying … ‘well that’s nice for you, but I can’t take a long bubble bath everyday’. Well neither can I! And on those days, I say some affirmations, or make sure to enjoy my end of day tea and realize that is just the season I am in. But I’ll tell you what… I’ve never regretted treating myself well. I’ve never regretted doing something that I know will make me happier for myself, my family and my kids. And when I do take care of myself, I am reminded how valuable and loved I am. And guess what… so are you! So grab a positive podcast, stare at some clouds, or spend time planning your meals for the next week so that you have less stress in the next few days. They are all important forms of self care and you deserve it! If you need some accountability and a little push, go and grab my 30 day self care challenge! Print the chart out and do the task listed! Each task takes 15 minutes or less and I bet you can find 15 minutes of your day to prioritize you. Make it a goal for yourself to not mindlessly watch a show or scroll facebook for 15 minutes (unless that’s part of your self care !) so that you can get the task done! And make sure to share this on your social media to help other mamas and PIN it for later!